If you own a television, then you should be aware that the movie The Great Gatsby is coming out this Friday. And if you're like my husband and you never watch commercials, then guess what, The Great Gatsby is coming out this Friday. I wish I could say that I'll be there, watching, but I can't even remember the last time I saw a movie in theaters. Hubby isn't that fond of movies (it's right up there with "doesn't like breakfast for dinner" as his biggest flaw) and since having a baby, movies aren't high on our priority list. If we get time for a date night, it's usually to go to a sporting event. So, like The Hobbit, I will likely be seeing Gatsby months after it premieres, on my TV, with a DVD from Redbox. But right now, I can binge on looking at movie stills and drooling over the costumes! And I've decided not to reread the book before seeing the movie. I'd rather let Leo tell me the story again than Fitzgerald; is that wrong?? Inception! That was the last movie I saw in theaters. Wow, that was a long time ago. Apparently I only make an effort to see Leonardo DiCaprio movies? Anyway, I've been looking at costumes and photos and thinking about my recent binge-watching of Downton Abbey as well. 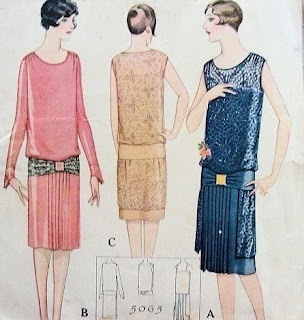 My favorite aspect of the clothes from the 20's are drop-waist dresses. Makes me wish I were taller so I could pull off the silhouette, but I still like it better than dresses that hit at my natural waistline. I don't have enough curves for an hourglass shape, so bring on the slim straight-up-and-down look! If Pinterest is any indicator of real life, a lot of people must be having Gatsby parties and weddings this summer. I read that Brooks Brothers is releasing a Gatsby themed line of menswear and that NBC is pushing for a Downton clothing line as well. Luckily for sewists, we can get the same look for less, and we can even use authentic patterns! the design says 20's to me! 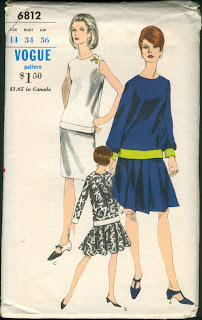 If vintage patterns aren't your thing, a great modern example is the new Laurel from Colette Patterns. 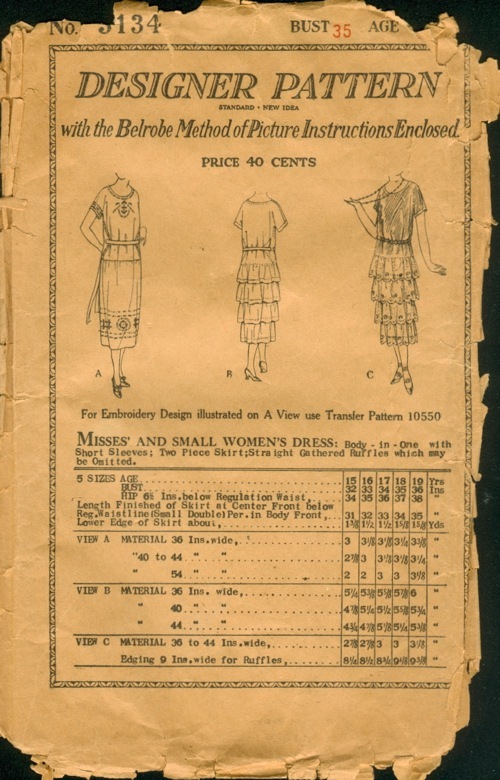 It's a great blank-canvas shift dress that would be an easy way to get your own 20's look. 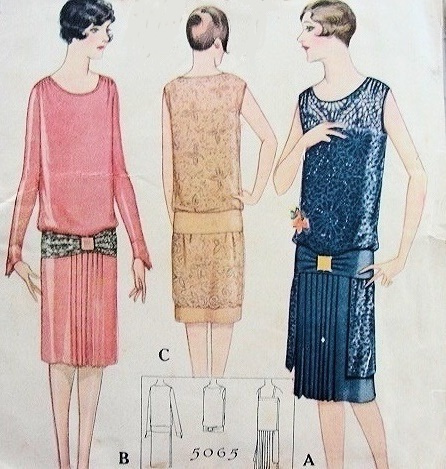 Just remember to add feathers, sequins, gaudy jewelry, and a snappy headpiece and you'll be good to go! 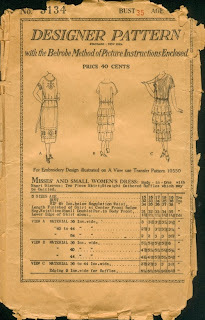 Anyone out there doing some 1920's sewing to gear up for the movie? I think it would be fun to dress up with a bunch of friends and go to see it.